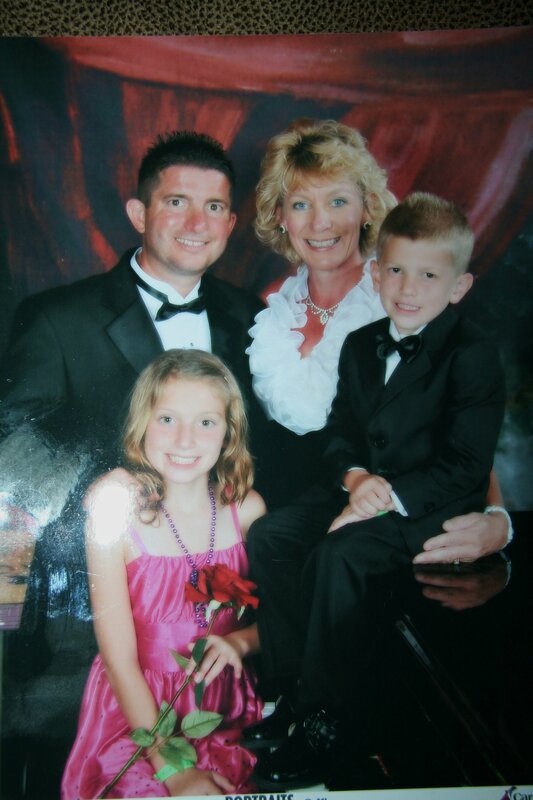 Bud Hanley, a registered financial planner, lives with Joy, his wife of 18 years, and their children, Lauren, 11, and Andrew, 6, in Honea Path, South Carolina. The Hanleys, owners of Legacy Financial Group, Inc., a financial and tax planning firm, are active in church and enjoy fishing in a backyard pond with their kids. They lost their son, Matthew, then an infant born prematurely, in 2002, and founded Matthew’s Hope Children’s Ministry the next year in his memory. The charity helps underprivileged children at Christmas and throughout the year, and also offers scholarships to deserving students. Bud has long written letters to all of his kids. Today, Bud shares the last of his letters to Matthew. “I promised Matthew as he died in my arms that I would work hard to cause good to come to other people because he lived and that I would use every opportunity God gave me to share His goodness,” Bud says. For further details about Matthew’s Hope, you can reach Bud at budhanley@att.net. My son, you touched so many lives and you will continue to touch lives. As long as I live, I will tell of the miracles I personally witnessed . . . I will make you these promises . . I will work tirelessly to cause good to come from your life. I will tell the world about you to motivate people to help others in your memory. I will let your life be my testimony and I will share it with as many people as God gives me the opportunity . . . I will one day meet you in heaven. Until then, I will continue to live because I know you live . . . I know that your Papas and Grannys in heaven will take care of you . . . Hang in there my, little man, Daddy will be home soon. Good morning, my sweet baby boy. We miss you so much and wish God had allowed you to be with us. Your short life has changed ours and has impacted hundreds of others. We started a non-profit organization in your memory called Matthew’s Hope Children’s Ministry to help other children in our community. I could write a book sharing the many miracles that have taken place through Matthew’s Hope, but I’ll just share this one for now . . . When Mommy was pregnant with you in the fall of 2002, we decided to pick out a needy family and buy Christmas gifts for them on our own. Our church and Sunday school class had done this and we always participated in that, but never had we done it ourselves . . . Our local schools send home an information sheet to the kids who are in need and the families fill it out with requests and sizes . . . Me and Mommy looked through the sheets of paper and one stood out to us. It was a 12- year-old boy with a two-year-old nephew. They lived in a pretty bad home situation. The older boy, Chris Bagwell, returned his sheet to school and asked for socks and underwear and “if possible” a football. He asked for the same for his little two-year- old nephew and “if possible” a fire truck. That broke our hearts and impressed us that a 12- year-old would ask for such minimal and basic needs . . .
We loaded those boys down with everything from new jeans, shirts, shoes and coats to bicycles and footballs and fire trucks…and yes socks and underwear. Mommy went and bought the stuff the day before Thanksgiving and came home that night and we wrapped it all up with your big sister “helping” us. She was two years old at the time . . .
Then our nightmare began. The day after Thanksgiving, Nov. 30, 2002, your Mommy’s water broke and our ordeal began. You were born and died on December 18th. We flew home and buried you on December 21st. That night, we went and delivered those gifts to Chris and his little nephew. I can’t begin to describe how happy and grateful that little boy was. He had never had such things before. It helped us so much to see the gratitude in his face and his words. He helped us as much as we helped him; he just didn’t realize it. He was so proud of what we had given him. Well, several years passed and we often wondered what happened to Chris because he had impressed us so much. He even worked with his uncle to help bring in some money for his family. We later started Matthew’s Hope and have helped many similar families since then. In the Spring of 2008, two women from Belton-Honea Path High School approached me and asked if we would like to provide a scholarship from Matthew’s Hope. We decided that would be a good idea and instructed them that our criteria would not be necessarily the straight “A” student, but rather a kid who had overcome bad circumstances and did well anyway. They brought us several essays that students had written about why they deserved a scholarship and we chose one that seemed to stand out to us. The scholarships are given every year at a ceremony at Erskine College called the Evening of Excellence. Mommy and me went that evening and presented the scholarship to the recipient after briefly sharing a little about Matthew’s Hope and why we were doing it. It was a nice evening and we went home. We had just walked in the door when the telephone rang. Mommy answered the phone and all of a sudden the color drained from her face and she put it on speaker phone. It was the young man to whom we had just given the scholarship. Matthew, when he said that, I thought I was going to pass out . . . He went on to tell us that when we brought those gifts at age 12, he realized for the first time in his life that somebody loved him. You see how God works? . . .
P.S. – Next week Father’s Day guest columns from four more Dads will appear.